WWW (World Wide Web) for us stands for World-Wide-Web-shop services . This is just one of our services that we are specialized in. Anything related to your internet order we can efficiently take care of for you. From receiving your goods through quality control, storage and inventory management, order processing till faultless speedy shipment to your customer(s). In addition we also include the full handling of the return of the goods. With your personal code, you can at all times in our unique management web shop log-in so that besides putting in an order to one of your customers, you can track and trace your goods. And of course we will inform you in time if your goods have reached the agreed minimum. 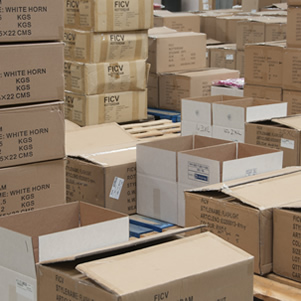 We offer a fulfilment World-Web-Warehousing package so you can fully focus on your presentation and your purchase. If necessary we can transport your goods from your supplier at home or abroad to our storage & transhipment warehouses. Transport through sea-containers is also a service that we provide when required, including the provision of all (inter)nationally required documents. Would you like to know more about our World Web Warehousing services and costs? We will calculate your storage volume, your needs and frequency on the so-called "picking and packing" and your use of any of our other services. We will offer you a personal interview with a free customized WWW advice. Do not hesitate to click here to contact us. Hogenes Warehousing: The right partner for you in Web-shop logistics.